CHARLOTTE — The rise of "scientism," in which science is uncritically treated as a religion, holding the power to decide ethical questions, was predicted by famous 20th century Christian author C.S. 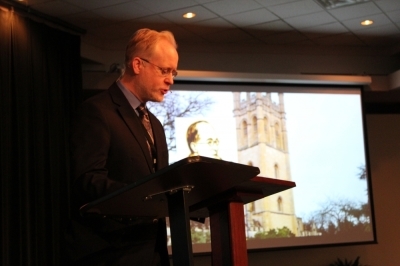 Lewis, scholar John West explained at Southern Evangelical Seminary's 2014 National Conference on Christian Apologetics. Neither he nor Lewis are anti-science, West said, recalling that science produced the cure for his father's cancer. Rather, they are opposed to scientism, which West defined as "the wrong-headed belief that modern science supplies the only reliable method of knowledge about the world, and its corollary that scientists should be the ones to dictate public policy and even our moral and religious beliefs simply because of their scientific expertise." 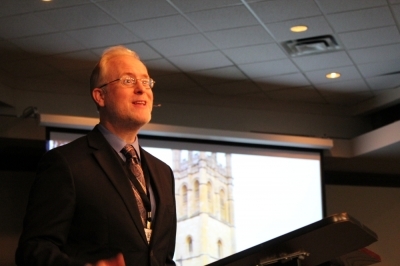 West is vice president and senior fellow at the Discovery Institute, a think tank that researches issues related to intelligent design and the role of science and technology in culture and public policy. He previously served as an associate professor of political science at Seattle Pacific University. He has authored or edited 12 books and numerous articles on the intersection of science, culture and public policy. His Saturday talk, "The Magician's Twin: C.S. Lewis's Prophetic Critique of Scientism," is based upon his edited book and documentary of the same title, which you can watch below. The title comes from a combination of one of Lewis's children's book series The Chronicles of Narnia called The Magician's Nephew (1955) and this quote from The Abolition of Man (1944): "The serious magical endeavour and the serious scientific endeavour are twins." In addition to The Abolition of Man, the Lewis works most often cited by West were The Pilgrim's Regress (1933), "Willing Slaves of the Welfare State" (1958), and his science fiction works, The Space Trilogy, which were written during the rise of Nazi Germany and World War II. The third Space Trilogy, That Hideous Strength, is about a conspiracy to turn England into a scientific utopia through a government bureacracy called the National Institute for Co-ordinated Experiments, which goes by the acronym NICE. That Hideous Strength was Lewis's most popular adult novel. It resonated with the public, West argued, because after two world wars in which science brought eugenics and new ways of killing large numbers of people, such as poison gas, rockets and atomic bombs, there was little appetite for a scientific utopia. "To many people, the new age ushered in by science looked more and more like a nightmare than a paradise," West said. There are three ways science can be treated like magic and become scientism, according to Lewis, West argued. 1) Science can function as an alternative to religion. Today, West noted, scientism often appears like a secular religion. It has its own holidays, for instance, like Darwin Day, and its own evangelistic-like crusades, like the Reason Rally. 2) Science can encourage a lack of skepticism. At first glance, this appears counterintuitive. Healthy skepticism is a cornerstone of the scientific process. Knowledge is advanced and new discoveries are made by challenging scientific results and testing alternative hypotheses. Lewis recognized, though, that science can also promote an uncritical acceptance of views that are said to be backed by science or wrapped in science-y language, West pointed out. In Lewis's time, West said, most scientists supported eugenics, or the belief that the gene pool of humans should be improved, and they argued that their views were supported by science. These views led to policies such as forced sterilization of those deemed to be of less worth, such as criminals and the handicapped. These policies were not only popular in authoritarian regimes like Nazi Germany, but in democracies such as the United States and England. Anyone who opposed what the vast majority of scientists were saying must be "anti-science," it was argued. 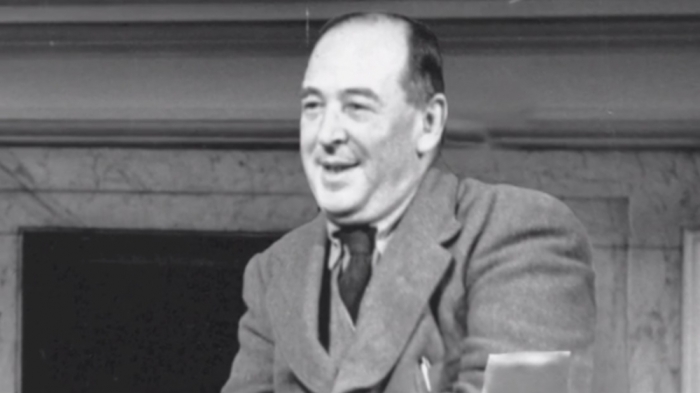 West noted that Lewis mocked the gullibility of his Oxford colleagues in That Hideous Strength when one of the characters claimed it was difficult to fool the working class because they assume that what they read from elites is propaganda, "But the educated public, the people who read the highbrow weeklies, don't need reconditioning. They're all right already. They'll believe anything." 3) Science can seek power and control. Lewis believed that the biggest danger of scientism is its tendency to seek power and control, West argued. Science, like magic, promises to cure all the world's ills, according to the scientism proponents. His essay, "Willing Slaves of the Welfare State," raised concerns that in desperate times the public would give their freedom to an "omnicompetent global technocracy" in return for the promise of a better future. "The question about progress has become the question whether we can discover any way of submitting to the worldwide paternalism of a technocracy without losing all personal privacy and independence," Lewis wrote. "Is there any possibility of getting the super Welfare State's honey and avoiding the sting?" West pointed to modern examples of Lewis's concern in science journalism. Since the 1990's, he said, there has been a "dramatic increase" in the "authoritarian tone" of science. Science journalism has increasingly used phrases like "science requires ...," "science dictates ...," and "science tells us we should ...." And in public policy, positions are often claimed to be "dictated by science" and those opposed to their positions are labled "anti-science." West pointed to one example in which an NBC chief medical editor argued in favor of aborting those with diseases by saying she is "pro-science." He also pointed to the authoritarian tendicies of some scientists. British scientist James Lovelock said, "it may be necessary to put democracy on hold for a while" to address global warming. Evolutionary zoologist Eric Pianka argued for reducing the world's human population by 90 percent by giving government the power to confiscate all the property of couples who have more than two children. And evolutionary biologist Daniel Lieberman advocated giving government the authority to control everyone's diet because "we have evolved to need coercion." West ended his talk on hopeful note. The cure for scientism may come from science itself, Lewis said, and West believes this may be happening. "New discoveries in biology, physics, and cognitive science are raising doubts about the most fundamental tenets of scientific materialism," he said. "In physics, our understanding of matter itself is becoming increasingly non-material. In biology, scientists are discovering intricate biological systems and massive amounts of biological information encoded in DNA that seem to point to the reality of purpose in nature. In cognitive science, efforts to reduce mind to the physical processes of the brain continue to fail, and new research is providing evidence that the mind is a non-reducible reality that must be accepted on its own terms."